Using a Windows 10 Insider Preview build as your daily driver can be both challenging and rewarding. The difficult part of this is obviously the stability of the OS. If you are relying on Windows 10 Insider Preview to provide a stable foundation for all your work, then this will not always be the case. Chances are you will run into blockers or bugs that have a negative impact to your daily work just because you are running a preview version of the Windows 10 OS. 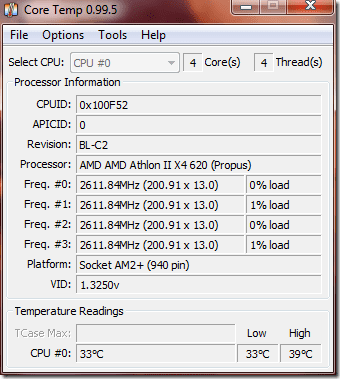 I recently ran into a problem when starting a virtual machine. My daily work depends on this VM to be started and all my work are mostly done inside a VM. Obviously having your work inside a VM on top of a release preview is not a good idea. Lesson learned the hard way. In my case, the Windows 10 build did expire on July 2nd, 2018. 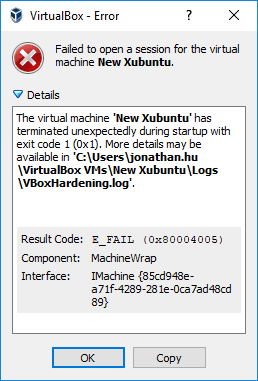 This will cause VirtualBox to produce the above error message when you attempt to start a VM with an already expired Windows 10 Insider Build. 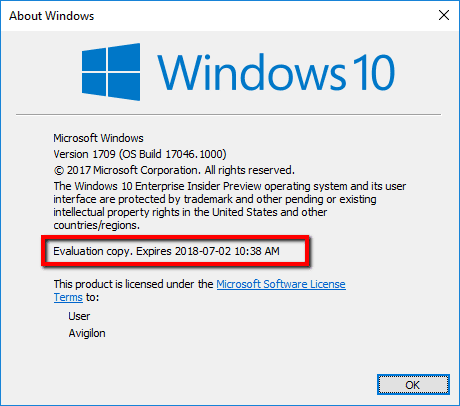 Windows 10 will also warn you if your build is expired or is approaching expiration. So keep your Windows 10 Insider Build updated on a regular basis. If you failed to do so odd things could happen. Microsoft has stated that if your Windows 10 is expired, 2 weeks after the expiration your PC will unable to boot up. So take action immediately before further damage is done. In a case where your Virtualbox unable to start, you can try to use VMware Player or Microsoft’s Hyper-V to run the virtualized image.